Contemporary décor and design make this 2,500 square foot living space great for single or multi-family living. 1,000 square feet of decks, private pool and only 600 yards to beach. Ground: (master bedroom with Queen, full bath with tub, crib, CATV/DVD player). 3 bedrooms (master bedroom with Queen, shower bath, CATV/DVD player, PlayStation 2; 1 with Queen with CATV/ DVD player; 1 with 2 Bunk sets), large bath with low threshold shower, laundry area; sitting/game room with sleep sofa, TV/DVD player/Xbox 360 (bring your favorite games); hot tub and hammock on deck. 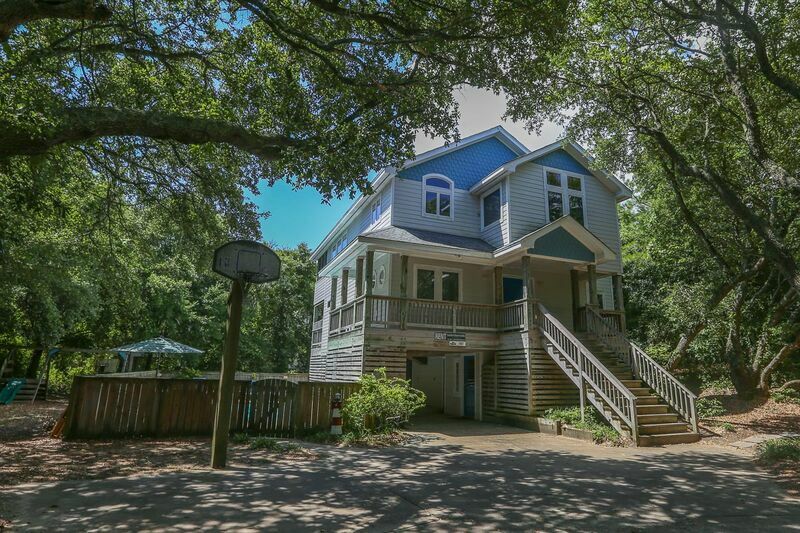 Great room with flat screen HDTV/Blu-ray player/Wii; fireplace, well-equipped kitchen with breakfast bar, half bath, (master bedroom with King, bath with soaking tub and separate shower, CATV/DVD player, private deck), screened porch with picnic table, deck with chairs.